If you are new to the wonderful world of fly fishing for shad and you are looking for a repository of information on the subject, then you have come to the right place! Shad on the Fly is a site dedicated to fly fishing for shad, and I am passionate about sharing everything that I learn with anyone that visits. This site is full of Resources, Shad Fly Patterns, Fishing Reports and more, but if you are just looking to get your feet wet, then let’s start with The Basics. There are six articles included in this series that will help you successfully target shad on the fly. 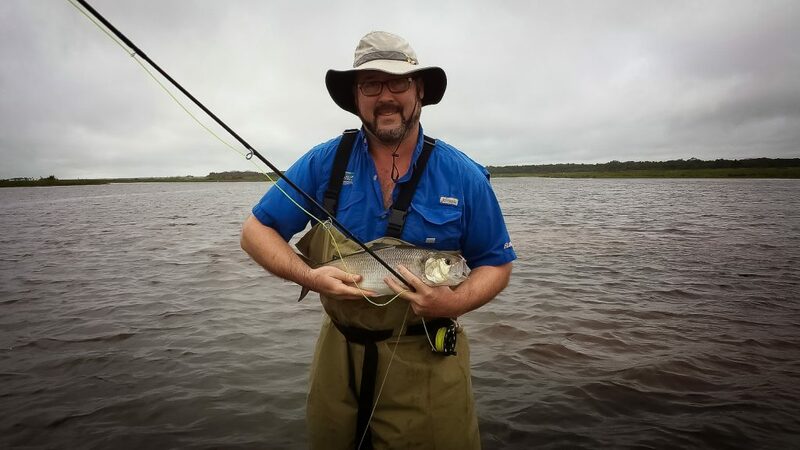 While there is some emphasis on my home waters, the St. Johns River, the information within each of these six articles will help you become a more confident and competent shad fisherman, regardless of where you target shad on the fly. So, what exactly is a Shad?– In this article we will take a look at some basic biology of the American and Hickory Shad to get a better understanding of just how the fish ticks. Fly Rods for fly fishing for Shad- In this article we will discuss what types of fly rods that you can use to fly fish for shad. I am willing to bet you already have something that will fit the bill. Fly Reels for Shad Fishing– In this article we find out that a reel for a fly rod is not just for storing line when you are fly fishing for shad, but can be an integral part to landing the fish. Fly Lines for Shad– In this article I dig in to the different types of fly lines we can use to successfully target shad on a fly rod. From single hand rods to two handed rods, this article will help you choose the best fly line for your application. Techniques for Catching Shad on the Fly– A very detailed article on the techniques used when fly fishing for shad. Learn how to swing the fly, mend, and retrieve to present the fly to the shad and elicit a strike. Fly Patterns for Shad– Learn about what types of flies that shad like best and typically key in on. Do you want to know what fly I would choose if I could only have one when fly fishing for shad? I tell you in this article!